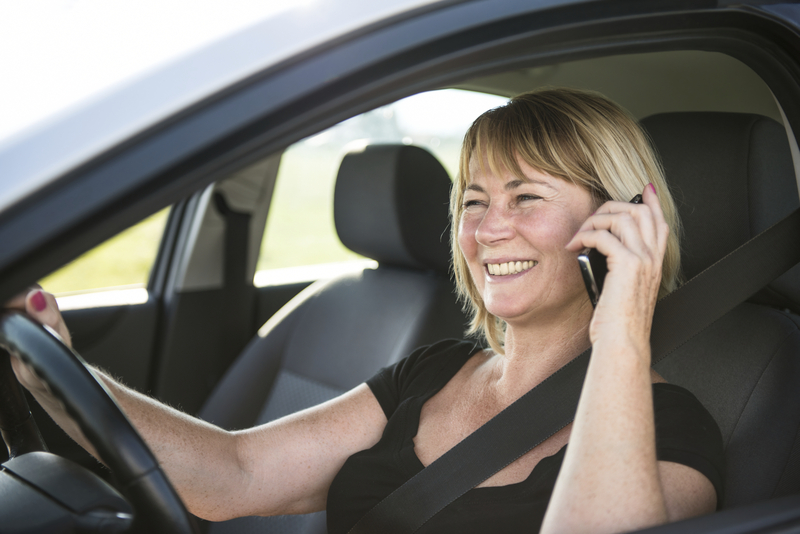 British Columbia law now prohibits handheld cell phone use by the driver of a vehicle. Hands free cell phone use is still legal. But don’t be lulled into a false sense of security. The reality is that both are dangerous. Studies show that it doesn’t matter whether you’re yakking with one hand to the side of your head or with both hands on the wheel. It’s dangerous to carry on a wireless conversation, period. Why is it dangerous? Does it matter? Do you need to know the science behind why nuclear fallout causes cancer to avoid booking a holiday to Chernobyl? It does make some sense. Distraction is apparently the problem, not the position of your hands. We regularly take one or the other hand off the wheel— adjusting a mirror, changing the radio station, putting in a CD, adjusting the volume, adjusting the air conditioning, setting cruise control, taking a sip of coffee, blowing our noses, scratching. Those are momentary distractions. They can wait for a break in traffic. We automatically time those adjustments for when it is safest to do them. They are also activities that can be accomplished with very little conscious attention. But not talking. Talking is continuous. Carrying on a conversation also takes energy and attention. And whatever energy and attention you put into the conversation, you take away from the level of concentration you are putting on the road. There are cases of pedestrians who have walked into moving vehicles while yakking on cell phones. It’s not like they needed both hands on the wheel. They put themselves in autopilot and devoted their conscious attention to the telephone conversation. Is it any different than having a conversation with someone else within the car? We have taken a step forward by banning handheld cell phone use. Putting it crassly, though, the law will prohibit only those who cannot afford hands free devices. When will we take the other step forward and prohibit wireless chatting while driving altogether? Clearly, we cannot count on the driving public to do the right thing without that. In the meantime, can we get those who are making millions on the new laws by selling hands free devices to pay for some of the injuries caused by distracted driving like we get cigarette manufactures to pay for some lung cancer costs?